A senior U.S. government official has told Indian media that private local refiners had stopped importing crude oil from Venezuela, noting the cooperation of Indian companies in this respect. "My understanding is that Indian private companies, who were importing Venezuelan oil, have stopped," the official, whose name was not disclosed, said as quoted by Business Standard. He added "The Indians have been cooperative in communicating to the private companies." India is one of the largest importers of Venezuelan crude, but it has been concerned about sanction violations as Washington's pressure on Caracas increases, with the Trump administration asking importers to stop taking in Venezuelan oil in a bid to cut off the Maduro government’s access to oil money. India has been a priority target in this push to reduce Venezuelan exports. Earlier this month, the U.S. envoy for Venezuela Elliott Abrams told Reuters in an interview, “We say you should not be helping this regime. You should be on the side of the Venezuelan people,” commenting on talks with New Delhi on the topic. Yet in February, Reuters reported the Indian government had advised at least one company buying Venezuelan oil to avoid paying for the commodity through the U.S. banking system, but not to stop buying Venezuelan oil altogether. 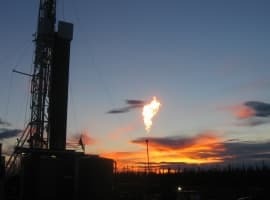 The company in question, which has remained unnamed, “expressed concern that there could be a problem in payments to PDVSA, so we have advised them to move away from the U.S. banking and institutional mechanism,” Reuters quoted an Indian government source as saying at the time. 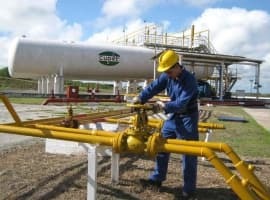 Earlier this week, media reported on a statement from Azerbaijan’s energy ministry that quoted Venezuela’s oil minister as saying the country had suspended shipments of crude to India. The statement added that Manuel Quevedo had said Venezuela was looking for new markets to keep the oil flowing.